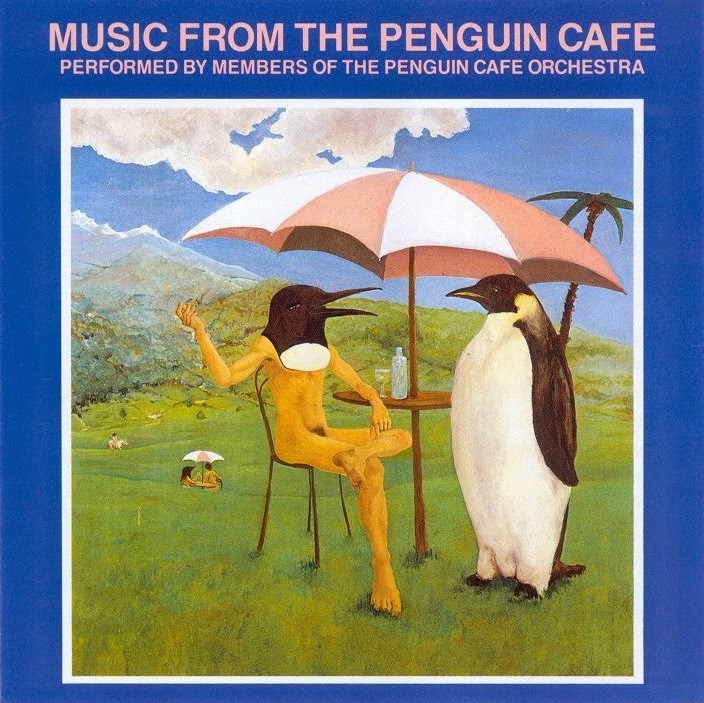 Music From The Penguin Cafe was the first album by the Penguin Cafe Orchestra, and was recorded between 1974 and 1976, and released in 1976. The line-up for much of the album consisted of the original Penguin Cafe Quartet: Simon Jeffes (electric guitar), Helen Leibmann (Cello), Steve Nye (electric piano), and Gavyn Wright (violin). Tracks 2-8 were performed by the ensemble "Zopf", which included the members of the quartet as well as Neil Rennie (ukelele), and Emily Young (vocals). Later reissues have mistakenly listed those pieces as though they were movements of a suite entitled "Zopf", instead of being performed by them. The executive producer for the album was Brian Eno, who released this album on his experimental Obscure label, with catalogue number "Obscure 7".